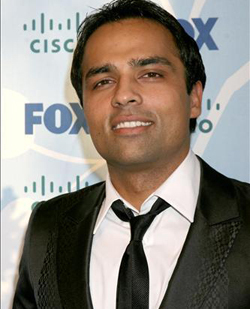 Gurbaksh Singh Chahal is an Indian-American Internet entrepreneur, bestselling author, CEO and founder of gWallet.Inc (now known as RadiumOne). He was born in Tarn Taran Sahib in Punjab, India in the year 1985. When he was four, his parents received Diversity Visa and got settled with him in San Jose, California. At the age of 16, Gurbaksh dropped his studies and joined an American advertising company as a full time employee. Within 6 years, at the age of 22, he founded and sold two big advertising companies ClickAgents and BlueLithium for $340 million. 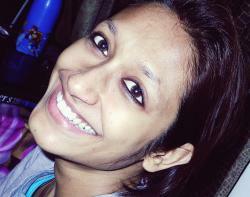 ClickAgents was sold to ValueClick for $40 million and BlueLithium to Yahoo for $300 million in cash. 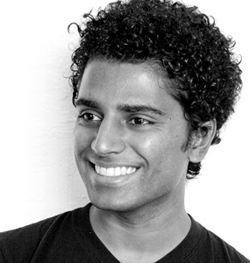 Gurbaksh has been featured on The Oprah Winfrey Show to share his life journey as well as entrepreneurial skills. Gurbaksh also appeared on an episode of the Fox TV reality show Secret Millionaire, and was also featured on Extra TV as America’s Most Eligible Bachelor. 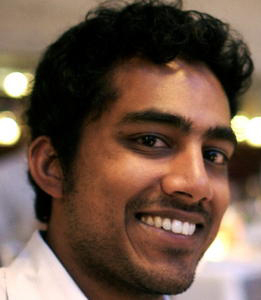 Naveen Selvadurai is an Indian Internet entrepreneur who co-founded location-based social networking site FourSquare.com. He is from Tamil Nadu, India. 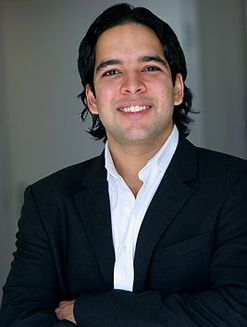 On completion of his graduation from King’s College London in the UK and Worcester Polytechnic Institute in the United States, he worked at Lucent, Sony, Nokia and Sun Microsystems. Later, he quit his lucrative job and founded mobile social networking website Foursquare as a joint venture with Dennis Crowley. AOL Small Business has included him in the ‘World’s New Young Millionaires’, he has also been featured on CNN’s as well as Fox Business Network to share his journey and experiences to becaming millionaire. His worth has been anticipated to be $40 millions. 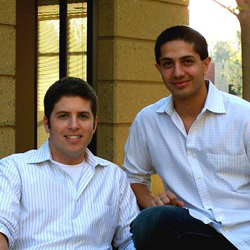 9 years ago, at the age 20, Rishi Kacker, along with his classmate Matt Pauker, co-founded the Voltage security software for encrypting documents, files, and e-mails at the touch of a button. They started working on this technology as a summer research project whilst studying at Stanford. They prepared to enter business-plan contest with this project and fortunately they won it and later made it advanced and big. They took assistance from some reputed and experienced chief executives and financial officers to create a booming security-software business that involved over 130 big-business customers as well as 75 employees. Their worth has been estimated to be about $12 millions. Ray Sharma is an Indian entrepreneur who founded Toronto based leading mobile games studio XMG in 2009 and has worked as an interactive content developer for Google Android, Apple iOS, and many other,. Ray also co-founded Extreme Venture Partners and currently sits on the boards for Wellpoint Health Services Corporation, and the Ontario Judicial Council, as well as GameON Finance 2012. He has been published in several respected publications such as the the Financial Post, Globe, Mail, the Toronto Star, and the Wall Street Journal. In 2009, the Best App Ever Awards honored his company XMG Studio with the Best Augmented Reality App for the game Pandemica. Musicane in 2006, where artists can sell their own audio, video, and ring-tones or create their store on a rental of $20 dollar every month. 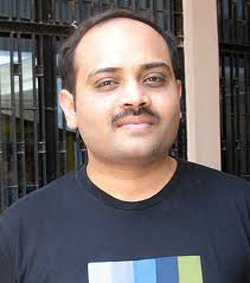 He also founded two more companies RTG Animate and a digital media company MyMPO. The head of marketing and the head of BMG Canada Will.i.am and Bob Jamieson are among the few Musicane’s staff list. At the beginning of the year 2011, there were 3,500 separate digital stores running on Musicane and the number was reportedly increasing by 45% per month. Recently Musicane collaborated with Universal Music Group and The Orchard and works with more than 50,000 independent artists across the world. the advances in technological world. Digital Inspiration has been mentioned in different magazines including India Today, CNN Go, Business World, and Outlook Magazine. In 2006 and 2008, his blog “Digital Inspiration” received the “Best Technology Award”. He advocates the freedom of speech; for he has participated several radio shows and TV channels that include CNN IBN, BBC, NDTV, CNBC, Star TV, ETV and Blog TV Singapore. Microsoft honored him with the Most Valuable Professional award in 2007, 2008, 2009 as well as in 2010 for his significant contributions. 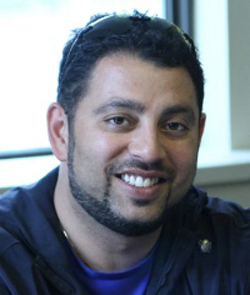 Raj Lahoti is an Indian-origin American entrepreneur who, at the age 21, founded San Diego based Internet marketing and Web publishing company Online Guru, Inc. in 2003. The company develops Web portals and top-notch online sites. Inc.com has ranked him 9 in the year of 2010 among top young business entrepreneurs in the United States. Raj also developed dmv.org to provide information about how to take care of driver-related transactions including licensing, vehicle registration as well as titling. 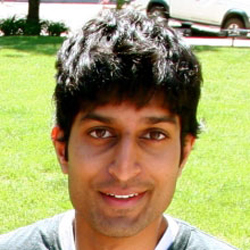 Raj also contributed to the development of UnitedStates.org and Classifieds.org. “The web has the ability to positively touch so many live and connect people in ways we never dreamt of. I especially love how it’s so dynamic, how it changes by the minute, and how just when you think you got it, another player comes along with something that changes the game,” Raj Lahoti. 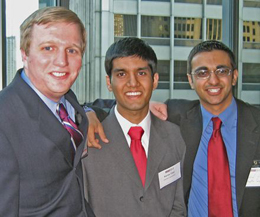 Avichal Garg and Karan Goel with Joe Jewell founded Chicago based PrepMe, which offers online courses and tutoring for standardized achievement tests including the PSAT and SAT, and the ACT offered by ACT, Inc.
Ooshma Garg founded job-search site named Anapata whilst still a student at Stanford. Anapata is basically a free hosting site where student groups from different law schools can network with one another, and submit their resumes to law firms. Garg charges between $2,500 and $20,000 as an annual subscription fee from law firms depending on the access of database of job seekers. In October 2010, Anapata was taken over by legal services company LawWerx. 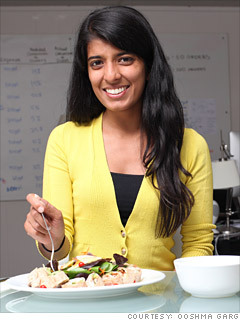 She is now concentrating on her second venture, Gobble to connect with customers with a network of chefs to secure home-cooked, deliverable meals. Since its inception, the company has rapidly grown approximately at 200% each month. The company was funded with $1.2 million by LinkedIn cofounder and blue-chip tech investor Reid Hoffman. In 2009, Posterous launched an iPhone application named PicPosterous to post photos to a posterous page and in 2011, it launched an app for the Android which is supported by 9 different phone models. Posterous has received $5.1 million fund from Trinity Ventures and Redpoint Ventures, and the startup incubator, Y Combinator. 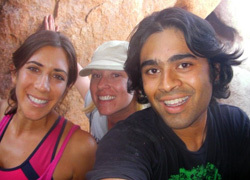 Vikas Reddy, along with Jeffrey Powers co-founded Boulder, a Colorado based technology start-up Occipital, which has developed the best-selling iPhone app RedLaser. RedLaser lets users scan barcodes. In 2011, Apple featured RedLaser in a TV commercial. Ever since launched in May 2009, RedLaser has been downloaded by more than two million users worldwide, making it one of the highest downloaded and popular paid-iPhone apps in the market.